M&G Trailers is a proud carrier of Aluma, the top aluminum open utility trailer manufacturer in North America. Since 1992, Aluma has grown drastically, building over 15,591 trailers in 2015 alone. It was announced in 2015 and 2016 that M&G Trailers was Aluma’s largest volume dealer on the continent. M&G carries a great selection of Aluma trailers, including snowmobile trailers, utility trailers, ATV trailers, motorcycle trailers and more. 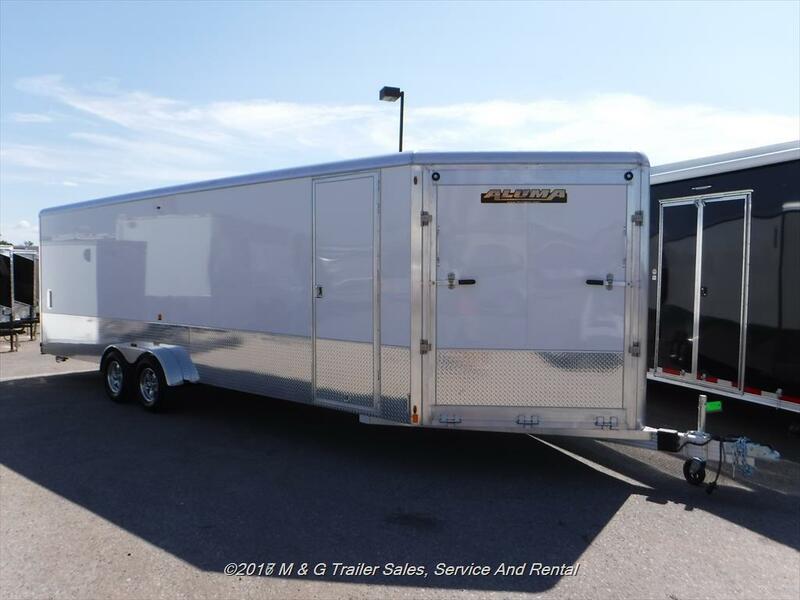 We are now carrying new 2018 models for both open and enclosed trailers. Every Aluma trailer comes with a 5-year, all-inclusive warranty. M&G wants to make it easy for you to purchase your new Aluma trailer, so we offer easy on-site financing, as well as an online credit application. Our Aluma trailers are in stock and ready for immediate delivery, but our certified technicians can customize a trailer to meet your exact needs. If you’re in need of a new trailer, an Aluma trailer will give you the quality and reliability you need. Visit our website or come to our dealership at 7575 Hwy 10 NW, Ramsey, MN 55303 to see more. Feel free to give us a call at 763-506-0930 if you have any questions or concerns. Also, don’t forget to check out our Facebook page.